Hey...I grabbed this DIY project idea from my pinterest board and I can't wait to make my own version. 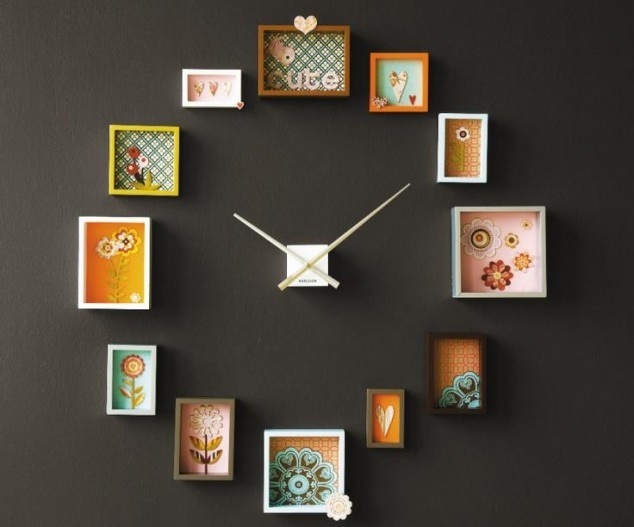 :) This can add life to a bare wall and you are also able to get a big wall clock. 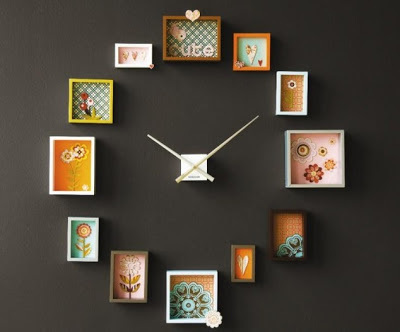 The color of the wall is really ideal to have those various colors of shadow boxes. This made the over all design stand out. Wait, I got another idea.... why don't we use those shadow boxes for our travel photos? Wouldn't that be more awesome? I have collected some nice travel photos from out trips abroad, maybe I could make use of that. My kids will certainly love the idea!